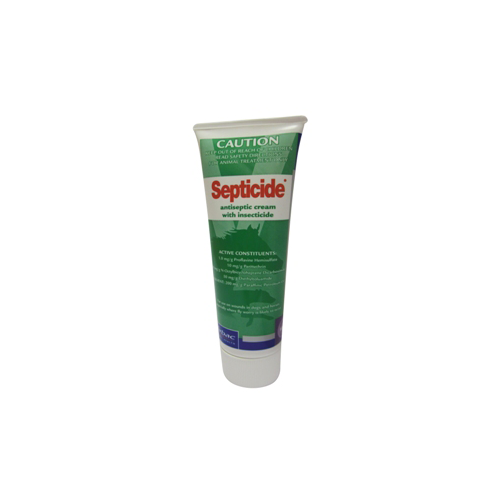 Septicide is a antiseptic cream with an insecticide. Use it on horses and dogs where you expect a wound might attract flys. The cream will not over repel but kill flies and other insects that cause fly strike. Being a cream will also stop the wound from drying and promote healing. Easy to apply to hard to reach areason the head and ears. Use on the wound daily until finished healing.